Of late, Windows 10 users who have been facing some problems, may have read a lot of time, run this or that command in PowerShell to fix this or that problem. While most of us are familiar with the Command Prompt and know how to run Command Prompt as an Administrator, not many seem to be knowing how to open an elevated PowerShell prompt. This, I gathered from the several comments I have been reading here and at our forum. So today, I will show you how to open an elevated PowerShell prompt, and run it as an Administrator, in Windows 10. Windows 10 ships with PowerShell v 5. It is a command-line shell and scripting language, built on the .NET Framework, designed for system administration, IT professionals and developers. To open an elevated PowerShell prompt, in the taskbar search, type powershell. 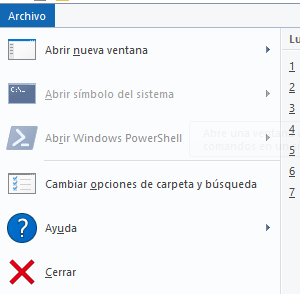 Now see the result Windows PowerShell which appears on the top. Right-click on it and select Run as Administrator. The UAC prompt will ask you for your consent. Click yes, and the prompt will open. An elevated PowerShell prompt will display Administrator: Windows PowerShell on the top in the prompt’s border. You can also open Task Manager > File menu > Run new task. Type powershell and select the Create this task with administrative privileges check box and click OK to open an elevated PowerShell prompt. Press Shift+Ctrl+Alt and then click on the PowerShell icon to open PowerShell as administrator. You can then go on to repair the Repair Windows System Image, re-register Windows Store apps, etc. Bonus tip: Know how to find out Which version of PowerShell you are are running? And if I need Power Shell because I can’t open the start menu? Ctrl+Alt+Del > Task Manager File > Run new task. Type powershell.exe and hit Enter. To do that, select the ‘Create this task with administrative privileges’ check box. look millions own pcs etc like me not all are pc savvy so this to you may be easy but for me no..i am trying to load my mem stick with music from my verbatim drive but groove says no…and its so slow . i want to listen to 1 track from my external NO …groove takes over ..its useless to me. was happy with media player now this is forced on us..
As much as I check the install location and retype it, Powershell says the location cannot be found. Hold down SHIFT+CTRL+ALT as you press enter to launch PowerShell. This will initiate the elevated permissions process as well. No need for context menus or editing Properties. Works in Windows 10, unsure about previous Windows versions. This happened to me once and my usual trick is to press the Windows Logo+R key to launch Windows’ Run dialog. Now type explorer, press enter and this should launch the taskbar process. Of course you’ll then have to Google for Windows repair options to try and determine what’s preventing normal launching. You’ll likely see search results that require you to use the SFC or the DISM command. These are the tools I usually use to diagnose and repair Windows system problems.